The four 4 wheeled mobile garbage bins stands out with its compact design. 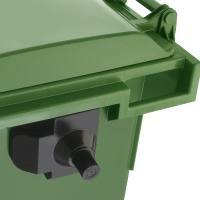 The waste recycling bins are available in grey/anthracite, green, brown or blue. Additional colours are available. 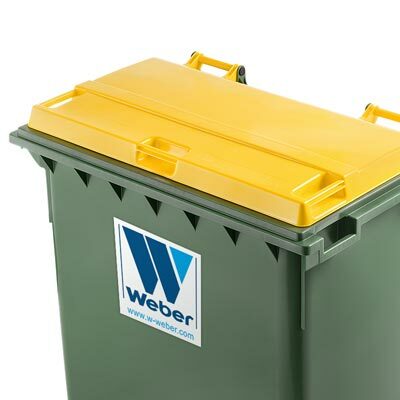 The smooth surfaces of the wheeled refuse bins facilitate the cleaning of the inside and outside surfaces. The shape of the sturdy, one-piece lid of the four 4 wheeled dustbins ensures that rainwater runs off easily. 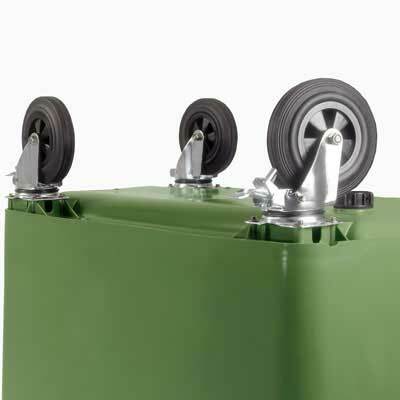 The lid is attached to the body of the wheeled recycling bins with four sturdy hinge pins and can be opened through 270°. 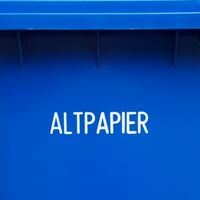 If necessary (for example, when changing waste fractions) the lid of the trash/garbage cans can be easily exchanged. The four 4 wheeled mobile garbage bins are equipped with four ergonomically-placed handles on the sides. They facilitate the moving of the waste domestic bins. At an additional charge, the four 4 wheeled mobile garbage bins can be fitted with side grab- handles. 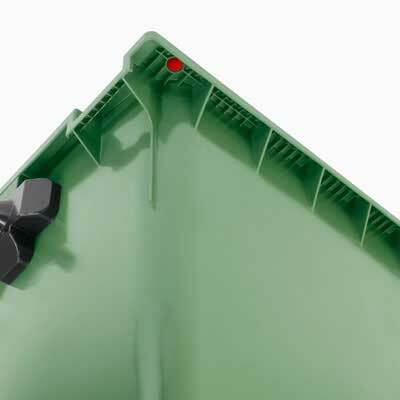 The comb-lift of the mobile recycling containers features a device for the mounting of a chip (for electronic detection or weighing). The chipnest of the mobile garbage bins complies with the requirements of RAL GZ 951/1. Our four 4 wheeled mobile garbage bins feature a wheel stop brake system (dual-stop) as standard equipment. Two brake pedals which can be activated independently of each other quickly and easily secure the four 4 wheeled waste domestic bins. Mobile garbage bins 660 l are the perfect solution for your paper waste, packaging, glass etc. Find out more! As manufacturer, we can fit your wheelie bins with lifting trunnions (DIN) for tipping in accordance with EN 1501-5. 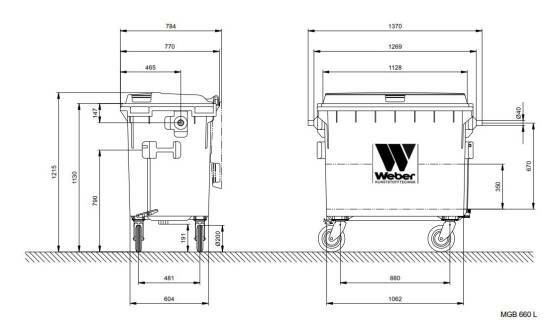 Moving and lifting the waste recycling bins for outdoor use can be made easier by fitting side grab-handles, in accordance with EN 840-2. 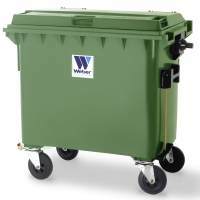 The ribbed reinforced handles of the mobile garbage bins are included when bins are supplied with central braking system. 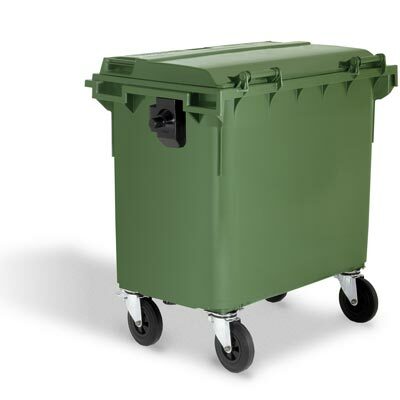 The mobile garbage bins for outdoor use are also available with a central braking system. 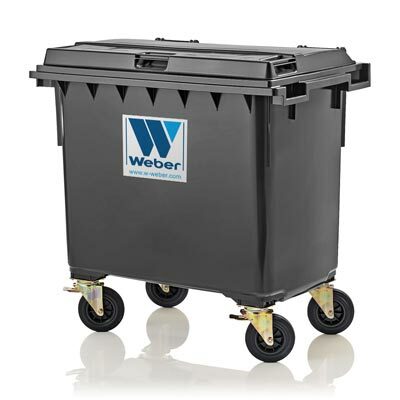 A foot pedal installed at the right side of the wheeled refuse bins activates the central locking of the container. 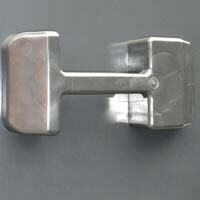 The central brake is unlocked with a triangular key. 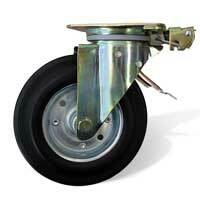 Various versions of castors are available for special applications of the four 4 wheeled recycling bins. For example, heavy-duty castors with steel rims and roller bearings are available for especially heavy loads and/or longer transport distances. 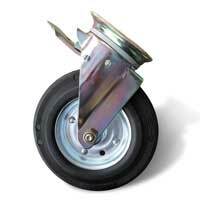 Castors with non-marking tyres or polyamide tyres are also available. Customised and permanent marking of our mobile recycling containers is available at a surcharge for either injection embossing (in lid) or single-colour hot-foil printing (on body).